I am not really an Easter basket person but as you have read I love giving gifts! I love the time and thought I get to spend searching for the perfect gift and I love the look on the receiver’s face, and this especially goes for children. So, of course, we give our children gifts to celebrate the resurrection of our Lord and Saviour Jesus Christ! While thinking of what we will be doing for our children I made a list of the top 10 Christian gifts for kids that will make wonderful Easter gifts! Hope you enjoy and please let me know what you will be doing on April 1st, Easter Day. This book is geared for all Christian denominations. The illustrations are absolutely beautiful and will keep a child focused on the story. The book is only 40 pages and tells the story of Jesus. You will read about all the miracles Jesus performed, his ministry, crucifixion, and his glorious resurrection. I cannot count the number of times we have checked this book out from our local library. The Crippled Lamb is such a wonderful and meaningful story. A little lamb is left behind and told to stay at the stable because he can’t make the long trip with the rest of the sheep. Then Jesus is born and is cold. Throughout the story, the little lamb is told God has a purpose for him he just needs to be patient. It is a wonderful story with the best message. How cute is this dish set? 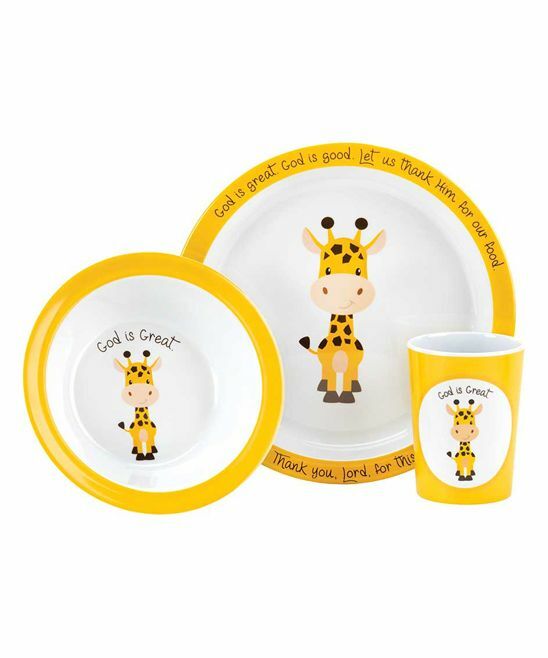 The bowl and cup say “God is Great” and the plate says “God is Great, God is Good, Let us Thank Him for our Food.” Best of all the dishes are durable and dishwasher safe, perfect gift! With it only being 3 pieces you could still fit it in a basket if you were a cool basket making person. This is such a beautiful porcelain figure and a special gift for a child. I love pretty much everything Precious Moments makes. This figure reads “You Are A Child Of God” and is the perfect figure to display in a child’s room as a reminder. This plaque is also by Precious Moments. It is so pretty and such a wonderful message reading “God’s Love is All we need” with scripture Jude 1:21 written on the side. The plaque looks like it is made of wood (but isn’t) so it will fit in anywhere. Another reminder that is always fitting in the home and in life. I cannot wait to get these for my kiddos! I love these long sleeved shirts from JCP. They come in 4 colors. Jesus face and word pertaining to him cover the center of the shirt. The shirts are 100% cotton, soft and just absolutely the coolest thing I have ever found for my kids. Precious Moments does it again! These piggy banks are absolutely adorable! Both banks saying “Jesus Loves Me” with a heart. They come in pink and blue, are hand painted, and made of ceramic. I love these piggy banks and they are the perfect kids Easter gift. Did you love reading Tomie dePaola’s books as a kid? I loved Tomie dePaola and I still, I am so glad I get to pass on the books by Tomie dePaola to my children. Every Easter and Christmas we get our children Bible books. Whether it is a book of prayers, a collection, or a certain story, it is a tradition we love. 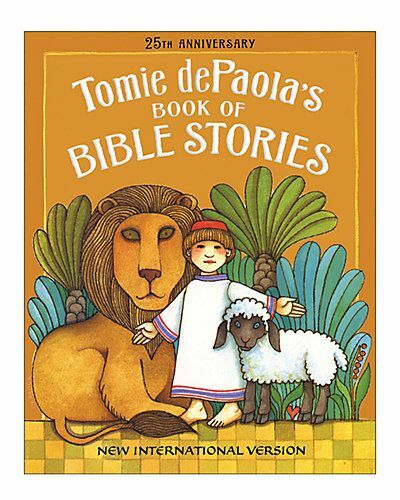 I am so excited to have found a collection of Bible stories illustrated by Tomie dePaola! The pictures are wonderful, which is what you always expect and receive from the work by Tomie dePaola. Any child will enjoy this book. These dishes are just so cute! 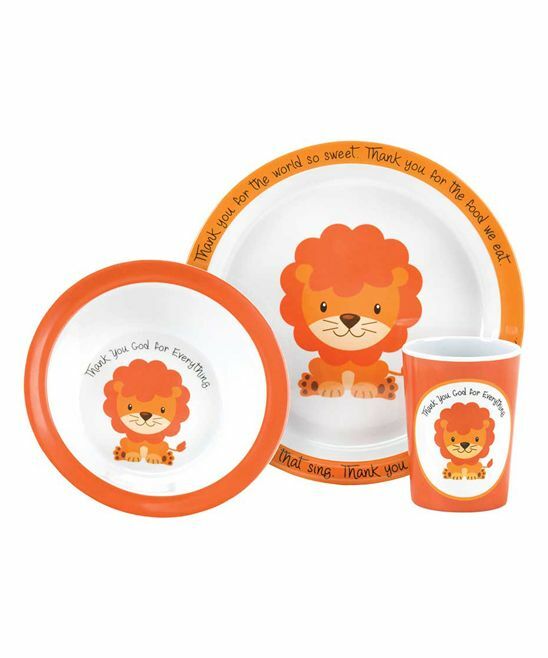 This set has a lion on all three dishes. This set is also durable and dishwasher safe. The bowl and cup read “Thank You God For Everything” and the plate reads “Thank you God for the world so sweet. Thank you for the food we eat.”. This set is so sweet and will be used with such glee. Easter is all about Jesus and this shirt is the best of them all. 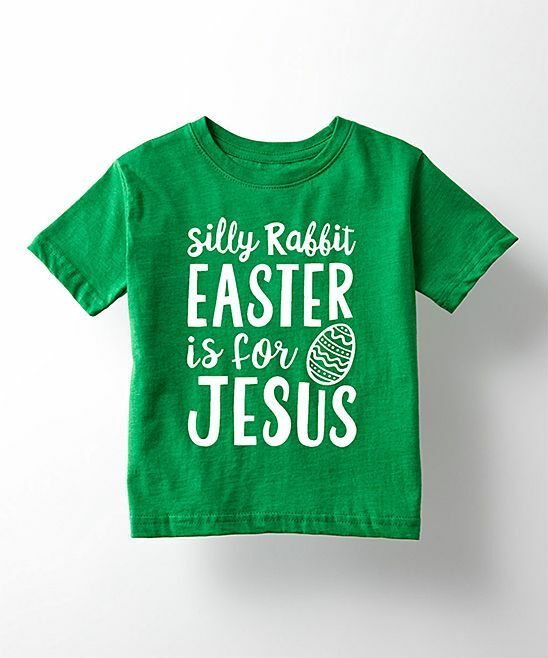 The shirt simply reads “Silly Rabbit Easter is For Jesus” and I could not agree more! This shirt is 100% cotton and 100% awesome. Your kids will love the message and love wearing it! I hope you enjoyed my second Easter gift list. While we are in the midst of Lent, Easter will be here before we know it! It is the end of February already! When did that happen?! I hope you found this top ten list of Easter gifts helpful and feel free to drop a line if you have a favorite gift for Easter, on or off the list. I cannot wait to put this list to good use and get my shopping on! My favorite kind of shopping, shopping in my PJs in my comfy warm bed. I really like the dish sets ! Super cute and functional! The dish sets are very cute. I remember loving Precious Moments as a kid. Thank you! I have fond childhood memories of Precious Moments also! Especially their books. These are great gift ideas. I agree, the dishes are really cute. Thanks for sharing! Such great ideas!! My son is 2 this year and I really wanted to get him something but also help him understand the meaning of Easter and why we celebrate it. I loved the Max Lucado book as a kid and totally forgot about it!! 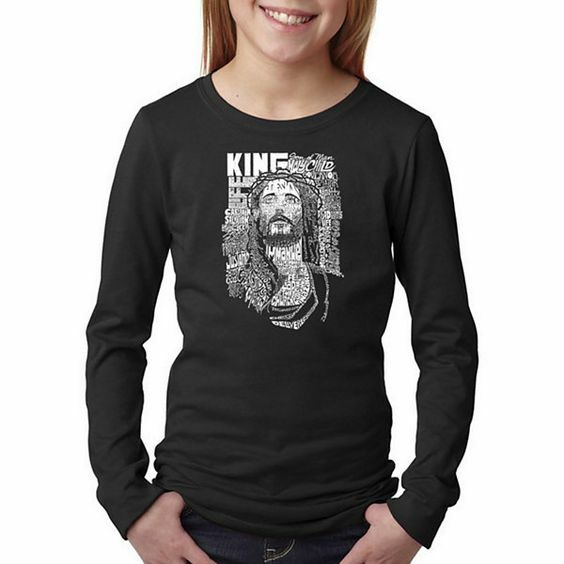 Zulily also often has some really cute faith-based shirts for both kids and adults. Thanks! thank you! I’m glad it gave you ideas! I love the shirts and we are huge fans of Max Lucado’s children’s books! Ah, what a wonderful list of gifts you have shared here! These make Easter much more meaningful than a basket full of treats. 🙂 Thank you for sharing these ideas! Thank you! I agree! Love giving gifts but we do not make baskets for each kid <3. I always wanted to read The Crippled Lamb By Max Lucado. It looks like a wonderful book! It really is! We borrow it from the library almost monthly. We love this book! Thank you! We love the book so much also! I’ll have to check out the Max Lucado book– thanks for the recommendation! Thank you and your welcome! It is definitely worth looking into! His children books are wonderful! I love these gift ideas! Thank you!